Getting Started with JanNet is easy! Fill out our quick online form to request a quote today! 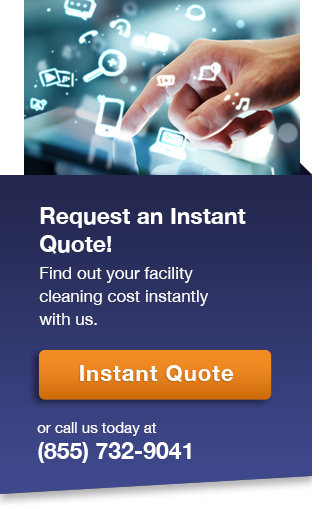 Choosing the right cleaning program for your facility has never been this easy, or this tailored. Today’s facility managers have more options than ever before. New formulations in cleaning solutions, improvements in equipment and machines, and changing trends in dispensers have contributed to an increase in environmentally-conscious sustainability, energy conservation, and enhanced performance. See our blog posts for more details. Our expertise and flexibility means we are able to service every type of industry – at one site or multiple locations, for a one-time service call or an on-going maintenance program. What Can I Expect From JanNet International? Our clients come to us for lasting and reliable building maintenance. They know we understand their everyday demands, and appreciate that we don’t provide “one-size-fits-all” solutions. Our approach to problem solving is simple – we listen. What Can I Expect When I Request a Quote? Starting with a one-on-one walk-through – one of our experts will survey the facility with you and listen to the specific needs and requirements of the service. Within 24 hours, a custom-built proposal will be provided to outline our best service plan. You can expect to be able to reach us with any questions, any time, until we are able to create a plan that meets your needs. As facility managers take on more and varied responsibilities, they are looking for single-source solutions. 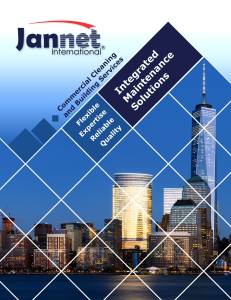 Eliminating the need for multiple contractors by having a single-source partner like JanNet International can make all the difference. Knowing you have a reliable partner allows you to save time on service-related administrative tasks and enjoy speedy responses to emergencies and special requests.